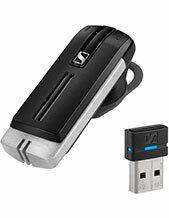 Sennheiser D 10 USB ML DECT Headset is a monaural wireless DECT headset that can be connected directly to PCs and softphone. 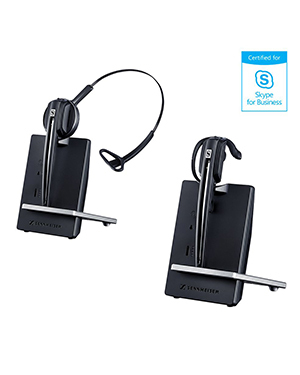 The device helps in delivering uncompromised sound for professional usage, as well as its connectivity to Skype for Business. 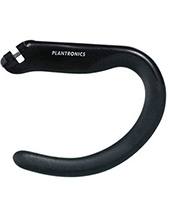 It also has several wearing variations that people can choose from and for single-sided headsets, they can be used both for left or right ear, depending on the preference of the user. Sennheiser D 10 USB ML DECT Headset is integrated with the popular Sennheiser Voice Clarity, in order to provide users with high quality audio and sound, which can help users, have better call handling and management, as well as better entertainment sound experience. The audio technology integrated in the device enhances human voice details and in the end provide clearer and crisper sound. 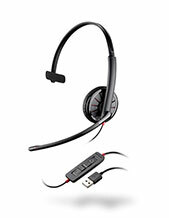 If you want to give this headset a shot, call our hotline now at Australia wide 1300 131 133 hotline! Sennheiser was created in the year 1945 by Prof. Dr. Fritz Sennheiser together with seven (7) other engineers from Laboratorium Wennebostel of the University of Hannover. The laboratory was moved to a village in Wedemark with the same name, which is where it got its name in the first place, A year after that in 1946, it began developing and manufacturing different types of microphones and in 1968 became the first ever company to introduce open headphones to the global market. This was one of the most influential developments that the company has even accomplished in the audio industry and the market. Sennheiser is an audio electronics enterprise that started out with the development of a voltmeter. It has undergone a lot of transformations since then and changed the structure of its company to limited partnership in the year 1973. And throughout the years, it has made several changes and entered different industries and market. It entered the aviation market in 1980 and two years after that, 1982, started developing and producing modern wireless microphones. Headsetsonline is popular for its high quality and leading supporting services, which the company offers together with its devices and integrated in its packages. The company’s products and solutions are all covered with warranties. Since the company gets all of its products and solutions from Australian distributors and not grey imports, all of the products the company offers are well maintained and screened to be certified of Australian standards. Headsetsonline, offering more than just convenient, is popular for delivering customers with loyalty through its flat shipping rates. Without hidden charges and surprise fees, the company makes sure that all of its deliveries are fare and precise.